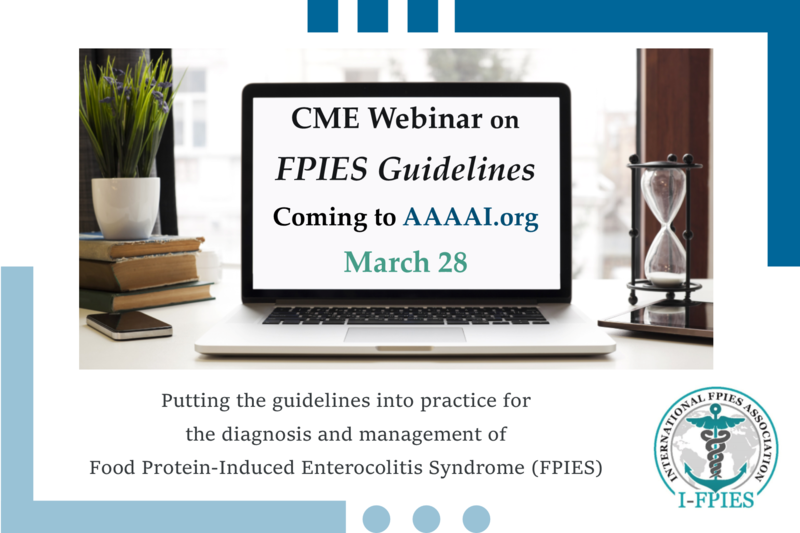 A webinar on the FPIES guidelines is coming to AAAAI’s Continuing Education Center. Attendees can learn how to put the guidelines into practice for the diagnosis and management of FPIES. Wednesday, March 28, 2018 at 1:00 PM Eastern Time Register at: https://education.aaaai.org/rsl/18IFPIES Note that this webinar is ONLY for medical providers. Please share this link … Continue reading New FPIES Education Opportunity for Medical Providers!